It's Thanksgiving time! And that means it's also time for one of my biggest parties of the year! 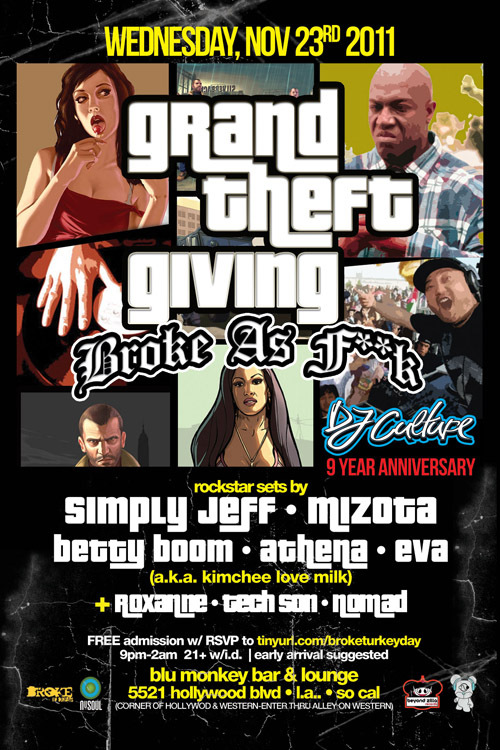 Come on down for BROKE AS F**K at the Blu Monkey! The legendary Simply Jeff will be rocking the decks for a special breaks set. It's totally free!